What The Heck Are You Packing for the Next 3+ Months? 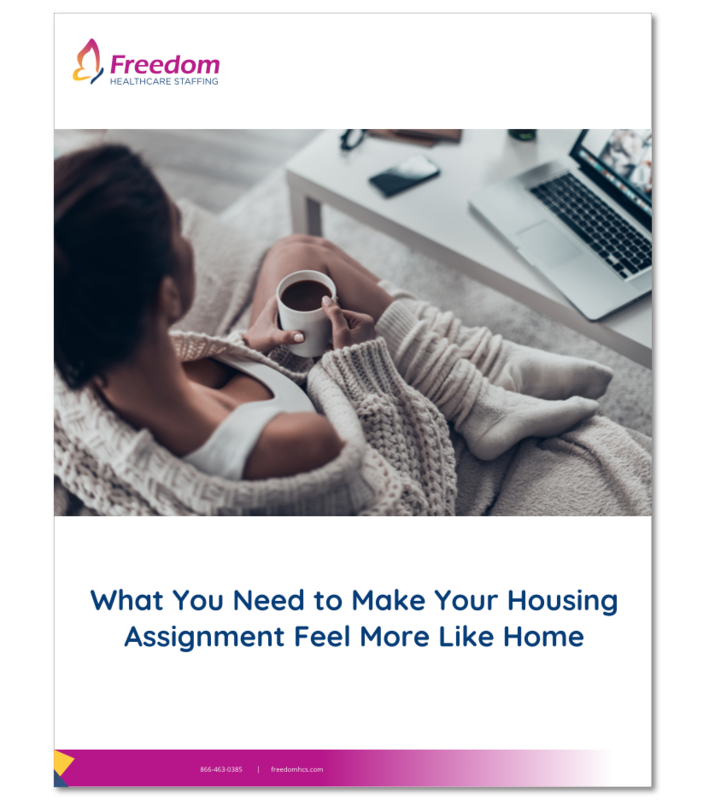 What you need to make your housing assignment feel more like home. Whether it’s your first traveling nurse assignment or your 50th, packing for a bulk amount of time is a doozy. Follow this checklist by Freedom Healthcare Staffing to ensure you’re taking all the pieces from home that matter.